A fun RV Blog that’s filled with outside-the-box ideas for planning your next road trip in a motorhome, a travel trailer, or a 5th wheel RV — whether you’re a seasoned RVer or a first-time RV owner. 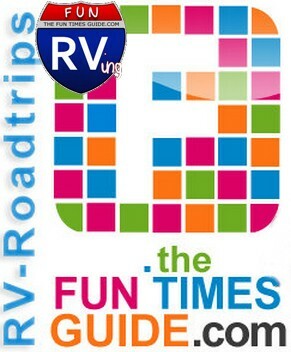 The information found here at The Fun Times Guide to RVing is based on the firsthand experiences of current and previous full-time RVers who know what it’s like to live in an RV year-round and what it takes to fully adapt to the RV lifestyle — including how to make a living while traveling in an RV for extended periods of time. We’ve got a boatload of personal reviews and recommendations to help you choose the best RV to meet your needs, plus all the best DIY tips for repairing and maintaining an RV in order to keep it in tip-top shape and running great for years to come. That way, you’ll be sure to get the best resale value when you eventually decide to sell or upgrade your RV. Our aim is to help you save time and money when choosing your next RV, planning travel routes and destinations, deciding which attractions to see, and maintaining your RV for the long haul. …In the end, it’s all about having FUN in an RV!